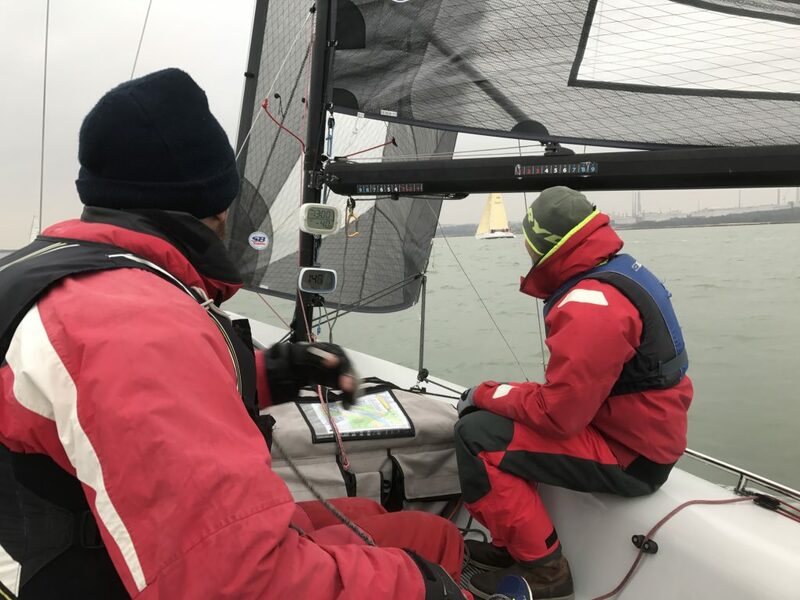 The SB20 Frostbite Championships were first sailed in 2017 (Royal Southampton Yacht Club) and is generally our first event of the UK series. In 2018 the event was not sailed but in 2019 it is back. Saturday is devoted to SB20 coaching (subsidised by the class) and Sunday is a one-day, 3 race regatta. The event is being run from Warsash Sailing Club on the 16-17 March. The Coaching day organised by the class will be run from Warsash Sailing Club were we have the use of a classroom and a coach boat/RIB. Coaching will take place in Southampton Water and/or central Solent depending on prevailing winds. Coaching DOES NOT continue into the regatta on Sunday. Vetran SB20 Sailor Charlie Whelan,a long standing SB20 skipper has previosuly won the Dutch, German and Belgium SB20 Nationals and the SB20 UK Inland Championships He recenty won the Autumn Championships and came 9th in the 2018 Europeans. Outside of the SB20 he has won the 707 Nationals, Cowes Week and Round the Island Race. On Sunday Warsash Sailing Club will dual score this event with the first race day of the Warsash Spring Series. Only one race is required to constitute the Frostbite Championships. If 1 or 2 races are sailed then all races count. If 3 races are sailed then a boat’s worst score will be discarded. The Warsash Spring Series NoR and SIs apply and should be considered as amended by this page. The winning boat will be awarded the Frostbite Championships Trophy. The OA (WSC) or the class may award additional prizes at their discretion. Entrants must be paid up class members. There are limited places for the coaching day on the Saturday, please book directly with the class on office@sb20.org.uk The day is subsidised by the class. Entrants are required to pay £20/ boat (£27 if you sail with 4 crew) which will be put towards food and drinks for for the evening debrief. To enter racing on Sunday simply enter Day 1 of the Warsash Spring Series and you will automatically be entered into the Frostbite Championships. There s of course no reason why you should not enter the rest of the WSS.